Faure Gnassingbe has won a third term as Togo’s president, electoral officials say. According to provisional results, Faure Gnassingbe gained 59% of the vote, extending his family’s 48-year hold on power. Observers from the African Union and regional bloc ECOWAS (Economic Community of Western African States) said the election was free and fair, despite opposition complaints of voting irregularities. Faure Gnassingbe, 48, has ruled since the death of his father, Gnassingbe Eyadema, who took power in a coup in 1967. His main rival, opposition candidate Jean-Pierre Fabre, took 35% of the vote. On April 27, Jean-Pierre Fabre called for a delay in announcing the results, citing widespread irregularities. Later, Jean-Pierre Fabre said that he would leave the country’s Independent National Electoral Commission (CENI) “to do its work”. The results still need to be confirmed by the country’s Constitutional Court. Turnout was around 53-55%, according to CENI – at least 10% lower than the last elections in 2010. 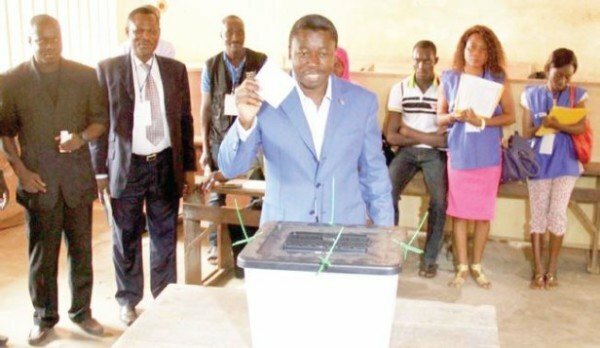 The 2005 elections, which brought Faure Gnassingbe to power, were overshadowed by fraud allegations and violent protests which left at least 400 people dead. In 2014, opposition protests failed to bring about constitutional changes limiting the president to two terms in office – a move that would have prevented Faure Gnassingbe from standing. Togo’s GDP has more than doubled since 2005 and economic growth reached 5.6% in 2014. However, Faure Gnassingbe’s critics say the benefits have mainly gone to a wealthy minority, while most ordinary Togolese still suffer from high poverty and unemployment rates.